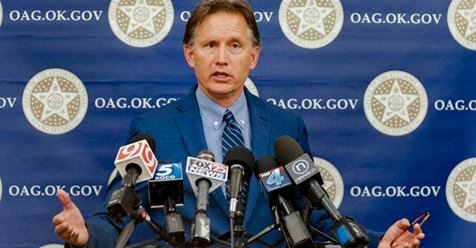 OKLAHOMA CITY – Attorney General Mike Hunter today joined a bipartisan coalition of 43 attorneys general in asking the Social Security Administration (SSA) to comply with a new provision of federal law that aims to protect consumers from synthetic identity theft. Earlier this year, Congress passed the Economic Growth, Regulatory Relief and Consumer Protection Act, which requires the SSA to develop a database to facilitate the verification of a consumer’s information when requested by a certified financial institution with the consumer’s consent. Synthetic identity theft occurs when criminals combine real social security numbers with fake information, such as names and birthdates to create a fake identity. Con artists then use the fake identity to apply for credit cards or loans. A recent investigation by the Aite Group, a global research and advisory firm, found in 2017 synthetic identity fraud resulted in $820 million in credit card losses, up from $701 million in 2016 and $580 million in 2015. That amount is expected to continue growing. In the letter to Nancy Berryhill, the acting commissioner of the SSA, attorneys general write, asking the organization to evaluate and make necessary modifications to the Social Security Administration database and systems to comply promptly with this new provision of federal law. To read the letter, click here: https://bit.ly/2Pvaa9D. 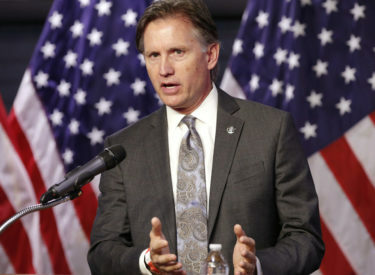 In addition to Attorney General Mike Hunter, attorneys general with the following states also signed the letter: Alabama, Arkansas, California, Colorado, Connecticut, Delaware, the District of Columbia, Florida, Hawaii, Idaho, Illinois, Indiana, Iowa, Kansas, Kentucky, Louisiana, Maryland, Michigan, Minnesota, Mississippi, Montana, Nebraska, Nevada, New Hampshire, New Mexico, New York, North Carolina, North Dakota, Ohio, Oregon, Pennsylvania, Rhode Island, South Dakota, Tennessee, Texas, Utah, Vermont, Virginia, Washington, West Virginia, Wisconsin and Wyoming.